Starting a business from scratch is not easy, especially if you have not a common knowledge of the web, of general business and best selling and marketing practices. 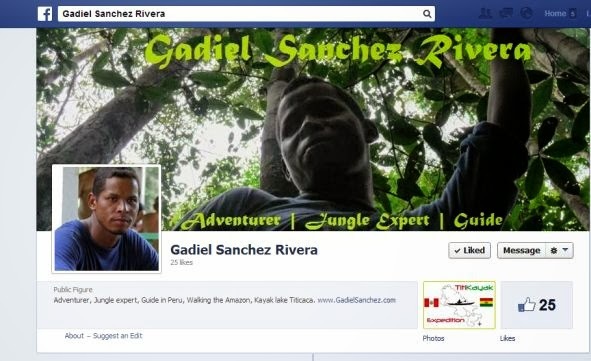 This is the case for Gadiel, he is a world expert in Jungle knowledge, he could survive months alone, simple he guided someone for 2 years in the jungle. If you never heard of the documentary Walking the Amazon, just do an internet search about it. 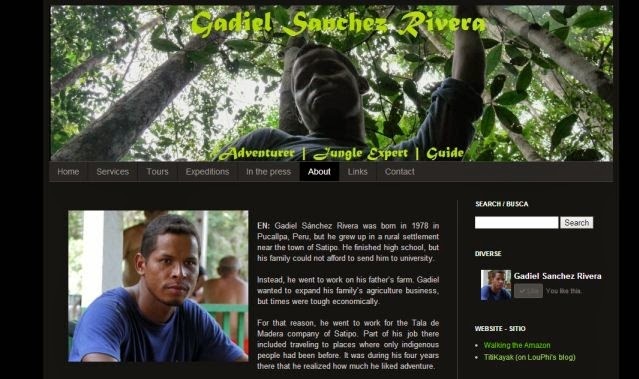 So Gadiel had no web presence, no branding. We discussed priorities and I set-up his website, facebook fan page and we are now developing the first tours. The focus was on consistency of his identity, with colors and a theme that suits him. The solution was to use blogger as host as it's easy to manage and SEO friendly (logic for a google service). The importance to sell his tours is to be found! If you want an incredible jungle holiday, drop him a line. And oh yeah, we designed also some visit cards (big and clear for his older clients). These cards are of 4 type, each with a different tree. Gadiel loves protecting the Amazonian forest!